With proper inspection and cleaning, a septic tank can last as long as 20 years. However, there are times when sludge from the tank accumulates more quickly and needs flushing out so that the tank would work properly. Although routine maintenance for septic tanks is usually done every three years, homeowners should conduct an annual inspection of their tanks, especially if they have a garbage disposal system in the kitchen. The inspection is done to assess how much waste has accumulated inside the tank. Regular maintenance of a septic system is less expensive than having it repaired. The grease trap and other tank parts should be inspected and cleaned to prevent septic tank breakdown in the future. One of the most important things to remember is not to have the inspection during winter season. The ground is very likely to have become frozen from the cold—this will make digging test holes an impossible task to do. If you must check on the condition of your system’s catch basin and other parts, do it before winter comes. A licensed septic system investigator should be able to determine if there is a need to flush out or repair the tank. The sludge sitting inside the tank is made of three different layers. The top layer is mostly oil and other products lighter than water. These float to the top, above the water, which is in the middle. The bottom part is where the decomposed solids are. The purpose of pumping out the tank is to not only reduce the amount of liquid in the system (which can freeze up during winter), but also to break down the solids at the bottom. Back flushing the tank will break down the solids from the bottom, making the effluent a lot easier to remove. 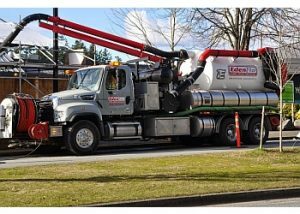 Residents of Vancouver, Richmond, Delta, Surrey, Langely, New Westminister, Burnaby, Aldergrove and White Rock can call Edenflo for septic system inspection, maintenance, and repairs. This entry was posted in Septic Tank Maintenance, Septic Tanks and Field Cleaning and tagged Aldergrove septic tank inspection, delta septic tank cleaning, Delta septic tank inspection, langely septic tank cleaning, Richmond septic tank inspection, Septic tank, Septic tank cleaning, septic tank inspection Vancouver, Septic Tank Maintenance, septic tank maintenance vancouver, Surrey septic tank inspection, white rock septic tank cleaning on November 21, 2012 by Edenflo.